editHelp! To help you in your work News from editHelp! This is where you will find information on recent changes that have been made. Previous and still applicable "News from editHelp!" are available here. A compared version of the recent updated ETSI Drafting Rules is available by clicking here. 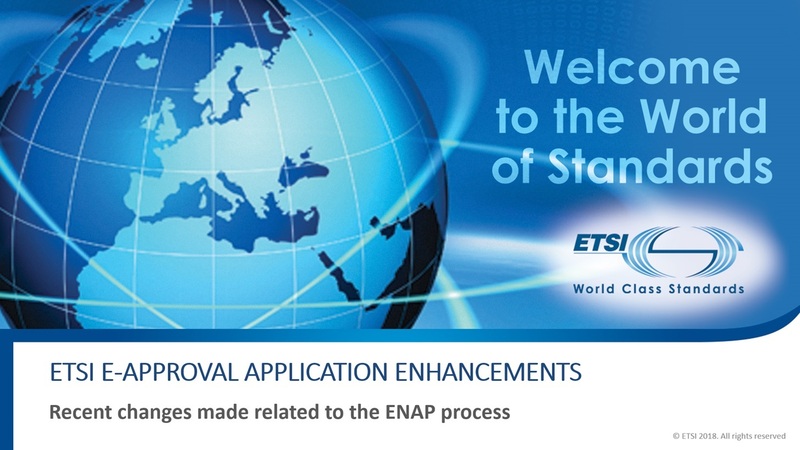 Following the EN Approval Process (ENAP) enhancement, the tool used to approve European Standards - the e-Approval application has been reviewed. To get the most of this presentation, the slide show has to be turn on. editHelp! improves the working methods with the implementation of the new "readme" format. The terms trade name and trademark sometimes confuse business owners and consumers because they sound similar. ETSI strongly advise that no trademarks are used within ETSI documents.